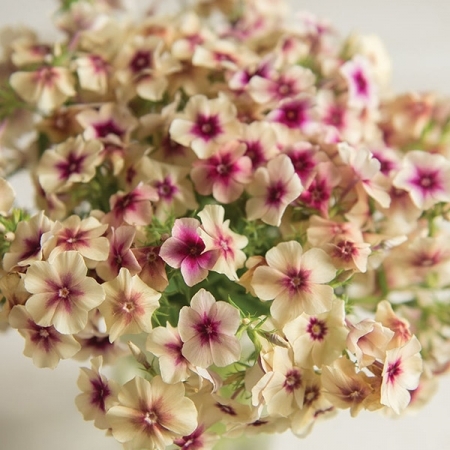 This annual flowering Phlox has a unique antique appearance and is easy to grow producing an abundance of dainty sweetly scented caramel coloured blooms with a dark cherry eye. Popular with designers and gardeners alike this charming Phlox is perfect for the border and a ‘must have’ for arrangements too. 16-20”. HHA. Phlox is wonderfully vibrant, easy to grow and smothered in fragrant flowers. Grown close to paths and patios the enchanting scent of Phlox will fill the warm summer evenings. A cottage garden classic in a wistful range of colours, and a favourite for attracting bees too. Phlox seeds can be sown in trays on moistened compost with a fine covering of vermiculite, from January to April. 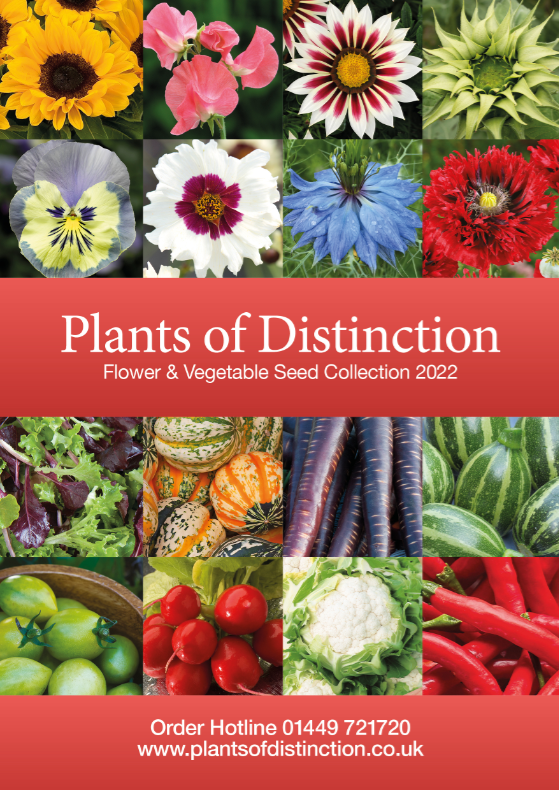 Germination normally takes up to 21 days at a maximum temperature of 18C. Keep the growing compound moist without over-wetting. Once the seedlings are large enough to handle transplant into individual 3 inch pots ensuring that there is good air flow around the seedlings. Allow the young Phlox plants grow on until ready for the garden. Harden off before planting out in groups of 3 or 5 as they seem to enjoy the company.